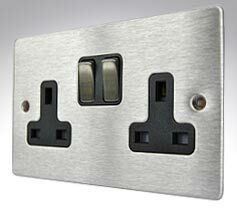 Hamilton have been producing decorative switch plates for over 40 years and have earnt a reputation for quality and reliabilty. The Sheer flatplate range featured here are all cast in the UK, using a new process which prevents their plates tarnishing over time. 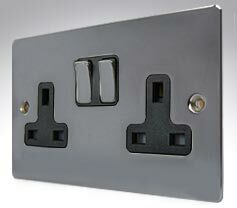 Hamilton Sheer flat plate satin stainless steelwith black inserts. 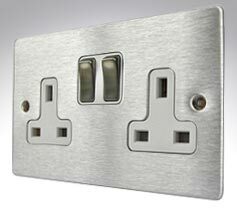 Hamilton Sheer flat plate satin stainless steelwith white inserts. 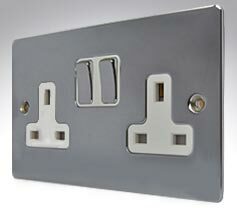 Hamilton Sheer flat plate bright chrome with black inserts. 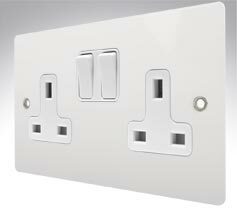 Hamilton Sheer flat plate bright chrome with white inserts.